JB Stone Masonry supplies natural stone and stone masonry products to private clients, builders, developers and architects in Chester and Wrexham and across Cheshire, Denbighshire, Flintshire and on the Wirral. Whether you’re renovating an entire property, involved in building conservation and restoration or simply wishing to add an amazing one-off stone feature to your home, we can supply you with an extensive range of natural stones. 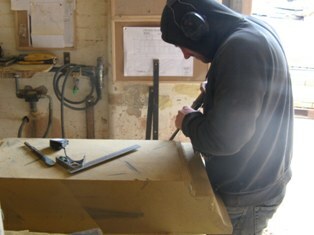 We can also craft beautiful stonemasonry products to enhance all kinds of properties both inside and out. 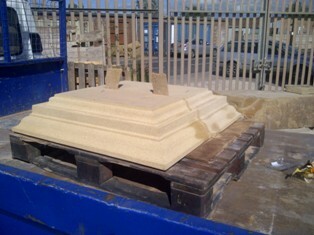 Our stone masonry supply service is second to none and offers you genuine value for money. This explains why we have built up an extensive client base over the years including private customers, builders and developers as well as other stone masons and local authorities across Cheshire, the Wirral and North Wales. We can supply you with stone masonry for all sizes and types of project including one-off home improvements, home extensions, work on listed buildings, new builds and large-scale developments. JB Stone Masonry sources only the best UK natural stone for your project, supplying a wide variety of sandstones, including Cheshire red sandstone, and limestone. Natural stone has a grain and the colours and patterns within each piece enhance the look of the product, giving it its own unique appearance. We welcome anyone who would like to visit us to see our selection of natural stones at our Wrexham yard. If you’d like to arrange a visit, please call John on Wrexham (01978) 664006. Every natural stone product we make is completely bespoke. If you are based in Chester or Wrexham or further away in Cheshire, Wirral, Flintshire or Denbighshire we’re happy to visit your home or site to take measurements, create templates then come up with designs. We will look closely at existing details to ensure accurate reproductions of any existing masonry and also to make sure the choice of stone is in keeping with the existing aesthetic of the building. Please note we don’t offer any ‘off the shelf’ stone masonry products. Each stone is sawn from large quarry blocks then worked by hand using traditional stone masonry techniques. That takes time so please place your order well in advance so you receive your stone masonry product to meet your timescales. 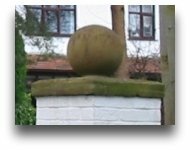 While our clients are usually based in Chester, Wrexham or further away across North Wales, Cheshire and the Wirral, we also make some products, like staddle stones, that can be shipped across the United Kingdom via pallet courier. Good quality and well cared for natural stone masonry will last a very long time: in some cases, not just for years but for centuries! When you order stone masonry from us you will be given plenty of free expert advice about looking after natural stone properly to avoid unsightly discolouring or stone erosion. If you’d like more information about stone masonry supply or stone products please call John on Wrexham (01978) 664006 or email us at mail@jbstone.co.uk.